Are you looking to work with a medical staffing agency? Having the right professionals filling the right positions is crucial to the consistent and quality provision of patient care. 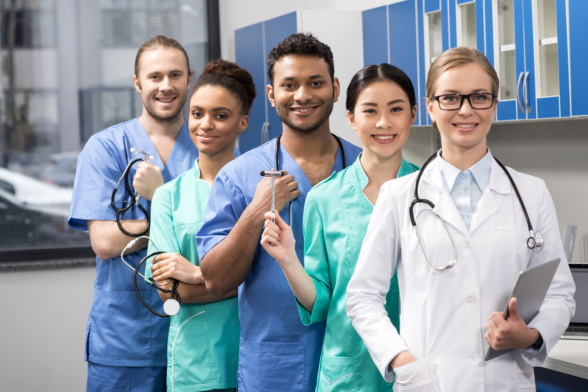 If you happen to be in search of medical staffing solutions in New York, you may want to consider collaborating with Network Medical Staffing. Partnering with a renowned medical staffing agency can boost your company’s reputation. This is because you are offered access to properly-vetted candidates who are more than capable of filling the vacant positions in your business. Do you need a nurse, caregiver, certified nursing assistant, or physical therapist? These agencies will match you with healthcare professionals who are perfect for your agency. The section below will discuss the four things you need to look into before working with a medical staffing agency. You need to be sure of the talent pool a staffing agency offers you. It is a must that these agencies thoroughly screen their applicants to ensure quality service at all times. They need to have background checks, competency tests, physical examinations, and more. You don’t want your agency’s reputation to be compromised by overlooking this extremely important process. The matching process involves finding the perfect candidate for a particular agency, given the role that has to be filled and the agency’s core values, workplace culture, and mission and vision. This leads to the fulfillment of goals for both parties, creating the ideal working relationship. There is definitely a lot of truth to word-of-mouth advertising. You may hear from several people in the industry, including patients and their family members, how good or bad a particular staffing company’s services are. Taking into consideration what these people have to say might just lead you to a decision that would create a very productive and mutually beneficial partnership with a reputable medical staffing agency. A company that is willing to go the extra mile for their clients. Some companies offer general services and nothing more. While they may be very good at what they’re offering, there are times when that simply won’t be enough. You need a staffing agency that offers specialized services to the point that they will even customize their solutions to meet your specific needs. One thing’s for sure, you can never afford to be short-staffed. When you’re in the business of saving lives, even being short on one important position is too big of a risk to take. Be sure you’re ready for these situations by working with top-notch medical staffing agencies. You deserve one of the best providers of medical staffing in Oklahoma. Get in touch with us at Network Medical Staffing, and see to it that you’re able to overcome staffing challenges with ease. This entry was posted in Medical Staffing and tagged Company’s Reputation, Screening Process, Staffing Agency. Bookmark the permalink.